The Best Bad Credit Cards with No Deposit - You Can Avoid Secured Cards! If your credit rating is in the low 600’s or worse, then you’ll be stuck looking for a bad credit card and most of them are secured. This means you’ll likely have to put up collateral towards your credit limit. While this deposit is usually refunded at some point, it’s obviously preferred to avoid this cost altogether. So if you do have a low FICO score, there are some cards you can apply for that might qualify you without a deposit. There’s a possibility they will ask for a deposit still, but each of these cards have been approved for borrowers with weak credit ratings before. While the options are limited, the team at Elite Personal Finance has brought together a short list of quality business credit cards that don’t require deposits. We recommend you consider Prepaid Business Cards as an alternative though; if you have bad credit, a prepaid card has no interest typically so you don’t have to worry about facing a potential APR rate of 20% or higher. 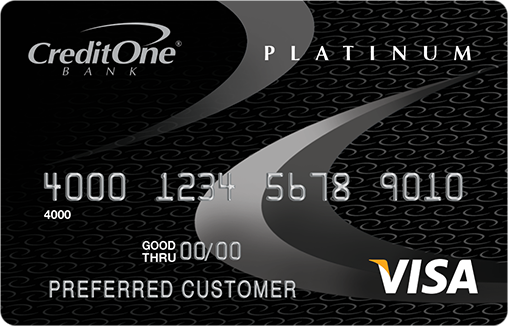 This card will pre-qualify you, which means you can get guaranteed a certain credit limit without making a hard inquiry to your credit report. Gas and grocery shopping gets you 1% cashback with this unsecured. No deposit is required since it’s 100% unsecured. After you pay on time for a little bit you might be given the chance to take on a larger credit limit. It gives you the ability to track your FICO score whenever you want to see it. You can also check out your credit report whenever you wish. There’s an APR rate of between 15.65% and 24.15%. Your annual fee will be $75 for the first year and it will come out of the available balance when it first opens. The annual fee could be as much as $99 after the first year. There’s a $95 processing fee you have to pay once you get approved. There’s also a 36% APR rate. This is super high, but even those with destroyed credit stand a chance to qualify. Your annual fee can run from $75 to $125 in the introductory year and $45 to $49 in the following years. Unfortunately, both the First PREMIER Bank and the FIRST PREMIER Bank Gold do not currently allow applicants from New York or Wisconsin. On the plus side, after a bit of time you can get a credit limit increase on your First PREMIER Bank credit card(s). This will help you grow your total available credit and lower your utilization rate. This card also offers pre-qualification, so you can avoid the hard inquiry defect on your credit report. It has a fixed rate APR of 23.9% and there’s only a $35 annual fee. You could potentially get approved for this card with as low as a 630 FICO score. Aside from the high APR, there’s also a 1% foreign transaction fee which makes it a non-ideal to use while traveling abroad. 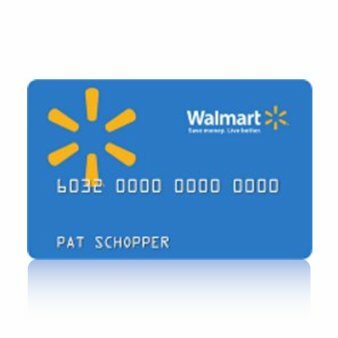 There are no major perks with this card. You don’t get rewards back, but at least the annual fee is low. 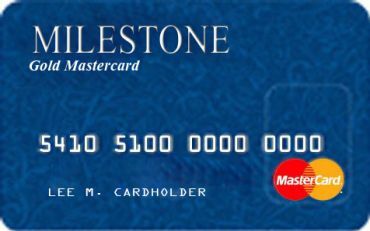 The best thing about the Milestone Gold MasterCard is the fact that even those with poor credit can get accepted for it. Another cool feature is the ability to custom select the physical card’s design. Pre-qualifications are also available for the Indigo Platinum MasterCard. Almost everyone, regardless of creditworthiness, can get accepted. It covers your warranty for longer and offers a price protection policy. It even gives you identity restoration services for free if they’re ever needed. You’re fixed to a $300 credit limit and the card features a 23.9% APR rate. When you apply, you can get pre-qualified; there’s no need to do a hard inquiry and drag your credit score down. The interesting thing is how annual fees are charged. It goes based on your creditworthiness, with $0, $59 and $75 being the possible annual fees. If you get a $75 fee it will become $99 after your introductory year. This annual rate is excessive, so you will want to close it after it helps you get your FICO score strong enough to qualify for a much better unsecured card. 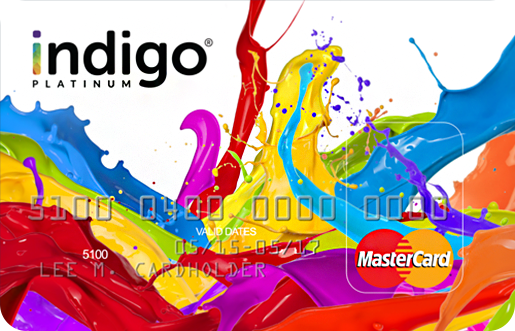 Another great feature with the Indigo Platinum MasterCard is the ability to choose the design of your card. Why apply for a high interest rate card? You can get a better APR rate on a secured, but they won’t hold as much strength on your credit report. They are marked as ‘secured’ cards specifically, while an unsecured card that doesn’t require a deposit will be marked as ‘unsecured’ instead. So taking on a higher interest rate might be worth it for you. How do they affect your credit score? Your FICO score will vary depending on the amount of debt you have compared to the amount you are able to borrow. The average age of your credit accounts can also influence your credit rating in either direction. They will report your on-time payments so after a while you will notice a considerable credit rating boost. Will a secured credit card work instead? The last answer gives you some insight on why you don’t want to bother signing up for a secured credit card. However, if you aren’t happy with any of the no-deposit unsecured cards you should consider the Discover it Secured Card. This can be upgraded into an unsecured card and it gives up to 2% in cashback rewards, making it the best cashback secured card around. Are prepaid business credit cards a good alternative? We mentioned earlier that you might want to consider prepaid business cards instead of no-deposit unsecured. The biggest benefit of prepaid cards is the fact that you avoid paying interest altogether. If you carry a balance every month instead of paying off your purchases quickly, both secured and unsecured will easily cost a lot. While prepaid cards have no reward incentives, they are set up better than most credit cards for business purposes. Look at the Bento MasterCard and the PEX VISA prepaid cards. They both let you specifically control how much money is loaded, how often a card funds itself, where each cardholder can spend funds (ex. gas stations ‘YES’, restaurants ‘NO’), and much more. The administrator of the employee cards can even suspend it(ex. if an employee quits) whenever necessary. All this can be done remotely, and you can even use an app to control all your employee cards from your cell phone if you go with the PEX VISA card specifically. Many like the idea of a prepaid card because they work the same as a credit card, yet they have no APR rate to stress over. Another big selling point is the fact that the business owner’s personal credit doesn’t have to be drug through the mud in order to have a business credit line. It’s only an unappealing alternative if you need extra financing and you don’t have collateral funds to put up. But for those who are just against the idea of a secured card, it’s worth weighing out the benefits and downfalls of a prepaid business credit card.